Save up to £100 with a free upgrade to Zeiss Photo Fusion when purchasing any Zeiss lens from us in May and June only! 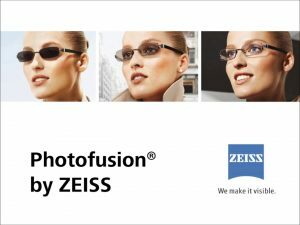 Zeiss Photo Fusion is a photochromic lens which changes with the suns UV rays to give you sunglass lens, so no need for a second pair! Are you fed up of your child losing or breaking their spectacles and not having a spare pair lying around ready? Or maybe you just want a second outfit option? Come and enjoy 70% off a 2nd pair of childrens spectacles! Choose from our £59 range and you’ll only pay £17.70! *Terms and conditions apply, please see instore for details. Children will receive a free upgrade fro m standard CR39 plastic lenses to a tougher, lighter PNX lens material. The PNX lenses as standard come with a hard coat making it tougher for your little ones to scratch their lenses.